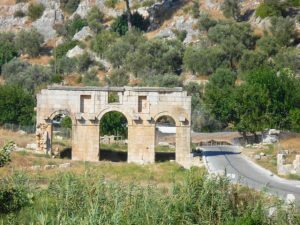 When sailing along the southern coast of Turkey on a crewed yacht charter, a visit to see the ancient site of Patara should be part of a yacht charter itinerary when cruising in the Kekova area. 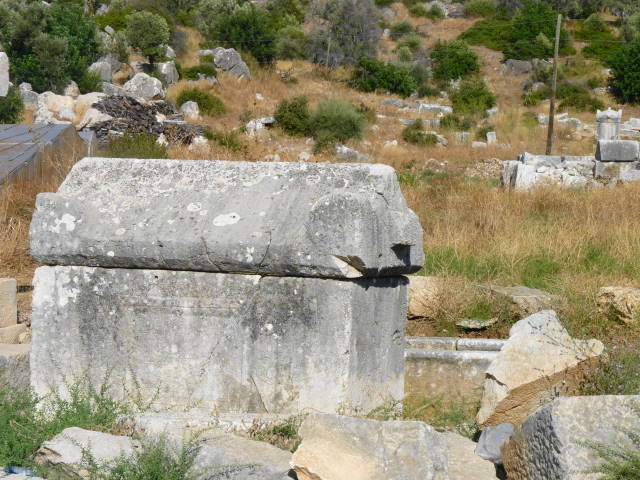 At one time an important harbor trading city with Lycian roots, the ruins of this city have now silted and drifted into the countryside, leaving a large and lovely beach area between the ruins and the sea. 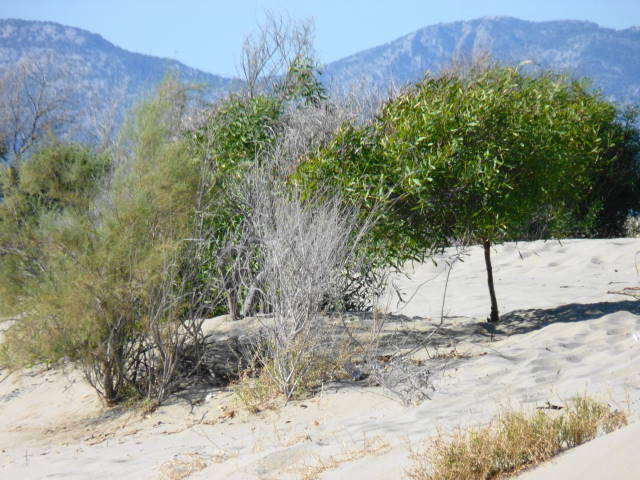 The beach is one of the nicest in the area with miles of sand and dunes, however this beach area no longer offers safe harbor for visiting charter yachts, as the harbor once did. Now, from a safe harbor along the coast, asking your Captain to organize a van and guide is recommended to bring you to Patara via land to explore this ancient site while on a crewed yacht charter along the southern coast of Turkey. Patara, situated close to Letoon and Xanthos, is known for its archaeological treasures and it’s beautiful, 12 km long beach, which is an easy 15 minute walk from the major ruins. This was a very wealthy Lycian city and its oracle at the temple of Apollo rivaled that of Delphi. However, like its sister city of Xanthos, this city too, eventually surrendered to Alexander the Great. Besides having a distinguished place in ancient history BC, Patara was also a noted city in Christian history as the birthplace of St. Nicholas, an esteemed Patron Saint for many cultures and part of the legend of Santa Claus. 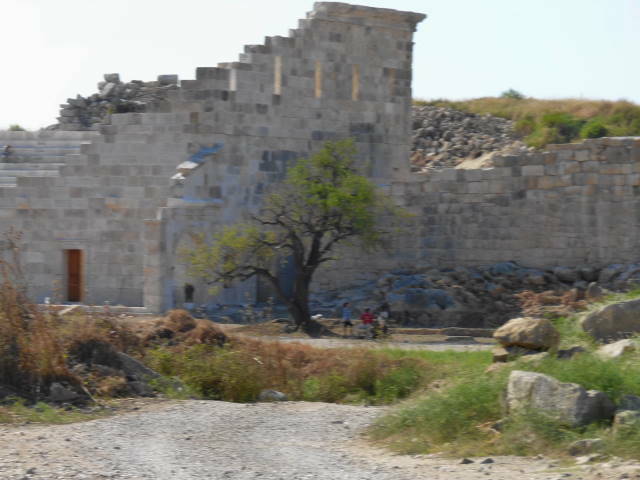 St. Paul, the Apostle also visited Patara on his third missionary journey. 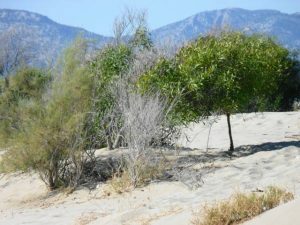 Unfortunately, much of the glorious past of Patara remains buried in the shifting coastal sands, however modern excavations are ongoing and are now revealing many previously hidden structures. The excavations include an ancient lighthouse, bathes, the main avenue, the amphitheatre, and the Roman Ante Temple. On arrival by land, all are met by part of the ancient city gate still standing along the roadside with a lone Lycian Sarcophagus standing sentinel beside. The stunning beach close by is part of a national park, which is rich in birdlife and the breeding ground of the loggerhead turtle. In fact, the beach is closed after sunset from May to October to give the turtles peace when nesting. It is well worth the walk down and across the sands on the pathway through the dunes to enjoy this long expanse of white sandy beach. 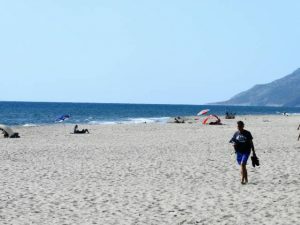 Ask your yacht chef to pack a picnic lunch and bring your bathing suit, and after visiting the ancient site of Patara, head down to the beach to enjoy the sun, sand and seas for lunch and a refreshing swim, while on a crewed yacht charter along the southern coast of Turkey.